Ricky Lightfoot is a Salomon Sponsored Athlete and full-time fire fighter from Cumbria in the United Kingdom. 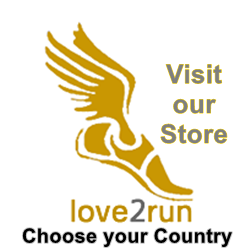 He is also the face of the 2013 Running Calendar from Race-Calendar.com. We caught up with Ricky to ask him about his life as a runner. How do you feel about being featured on the cover of the 2013 Running Calendar? Its great, its not everyday you get on the front cover of a running calendar. When I first said to my mates they thought it had something to do with the Fire Service and stripping off! Do you recall running in the Buttermere Trail Race? The Buttermere Trail Race is a great race on a beautiful undulating trail along the shores of Buttermere and Crummock Water in the Lakes, the views are spectacular. Get it in your diaries for 2013! How would you describe the Lake District to someone thinking of visiting to compete in the Buttermere Trail Race? The Lake District is an amazing place, I can visit the Alps or the Pyrenees but nothing else beats coming home to fells on my doorstep. If you want to experience real Lakeland come and try the Buttermere Trail Race! How do you juggle training for races in between shifts as a firefighter? It works pretty well juggling training between work, I try and fit it in where I can even if that means getting up early in the dark and rain for a run. Due to my shifts I tend to train a lot on my own but every now and again I try and meet up with friends for a run because i tend to push that little bit more. Any where in the North West Lakes really, I try to vary my route and avoid the main tourist paths. If I had to pick one it would be from Dodd Wood near Keswick up over Carlside and Ullock Pike and up onto Skiddaw. How did you come to be a Salomon Sponsored Athlete? I’ve been on the Salomon Trail Team for 4 years now, it was after I had run to some good results in Europe in 2008, I had heard of the Salomon Trail Team and I received a phone call from the Manager Tim Lloyd asking me to join the team, I was over the moon. What has been your running highlight of 2012? One of my high lights is probably returning from injury! It’s every runners nightmare and when you are injured and unable to run its so frustrating. I was really happy to win the Borrowdale Fell race in the Lakes this year. I’ve wanted to win it for a few years. What is your favourite piece of kit from Salomon? I’d have to say the Fellcross, I rarely leave home without them. 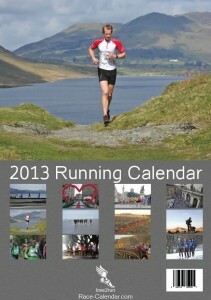 What is your favourite month in the 2013 Running Calendar? There are quite a lot of interesting races in there which I’d like to have a go at some time. But as far as scenery goes, I’d have to say May! Ricky Lightfoot just won The North Face Singapore 100 – a 100KM event. In the process, he clocked a time 2 hours ahead of his competitors. Impressive work – very well done!